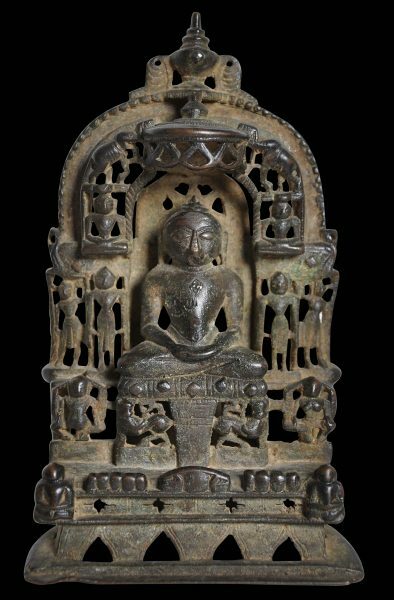 This bronze altarpiece shows Neminatha, the twenty-second Tirthankara. 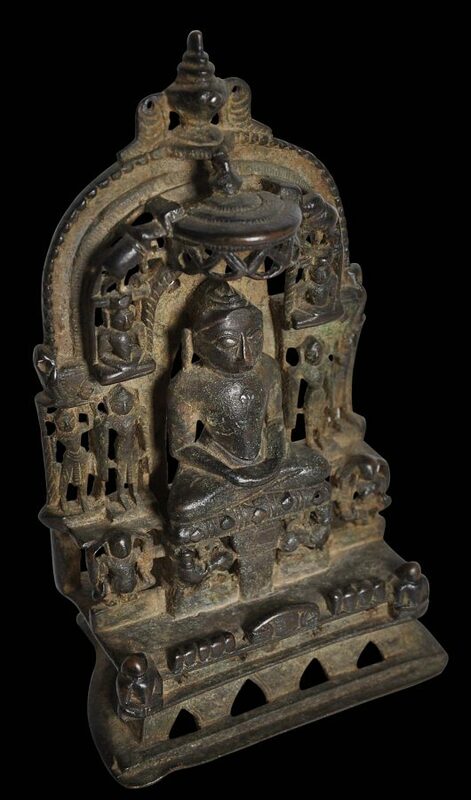 The form is characteristic of fifteenth century Jain bronzes. Neminatha, the principal Jina, is shown with a large, oval head, elongated ears and broad shoulders. 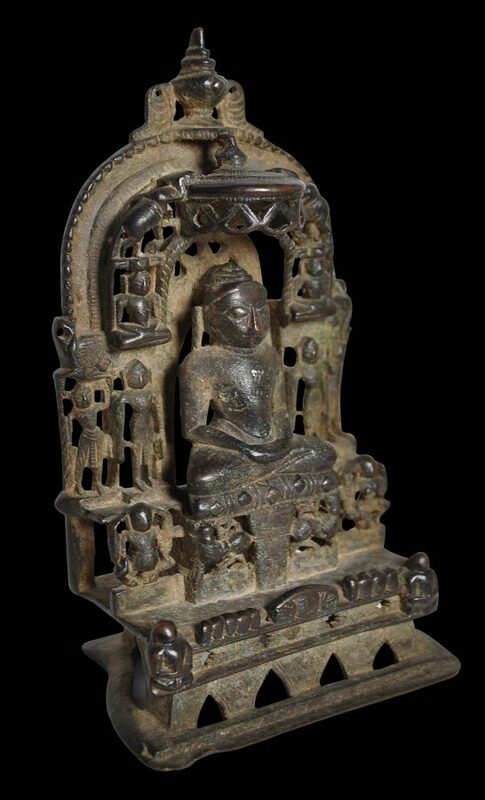 He is seated cross-legged on a cushion on a gaja-simhansaor elephant-lion throne. 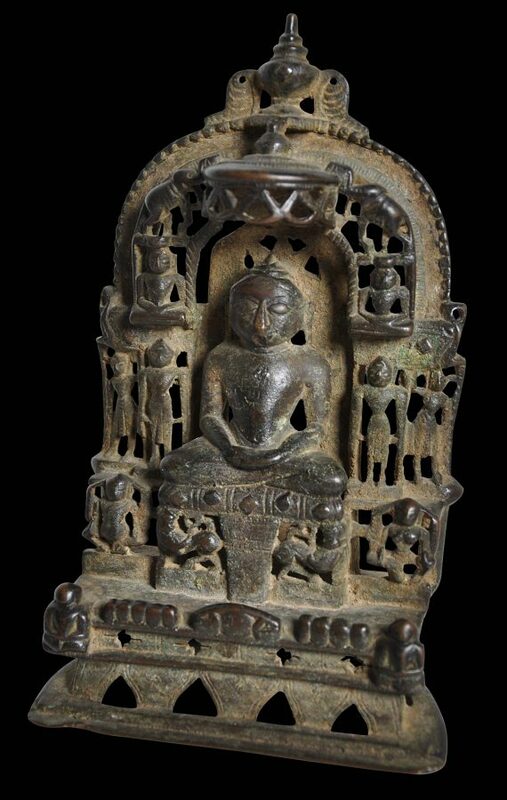 Together with the pair of standing jinas and two sitting jinas, the central figure forms a ‘five-jina image’ or a pancatirthi. Other figures are attendants and celestial nymphs, some of whom are seated while others stand. Rising above Neminatha is a parasol from which a pendant fringe meant to symbolise strings of pearls is suspended. 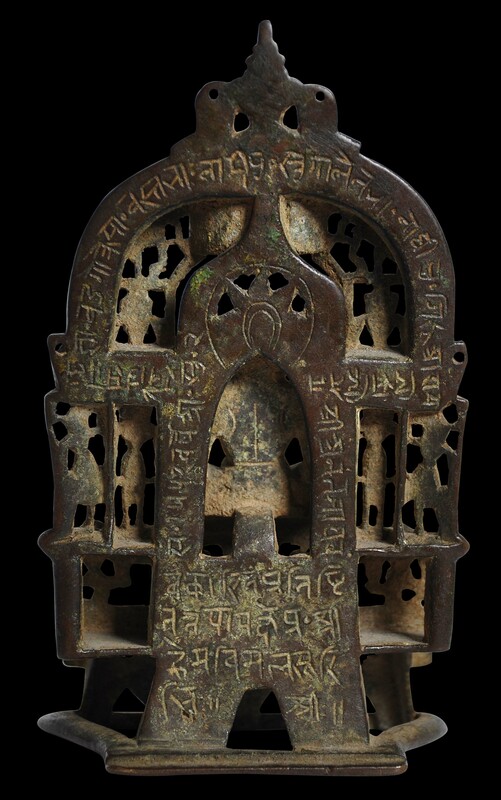 The arch of the throne is topped by a narrow-necked vase, the kalasha. As is customary with such Jan altarpieces, two elephants lustrate the Jina from above. Neminatha’s eyes, the srivatsa symbol on his chest, and the kalasha over the umbrella are all inlaid with silver. Although obscured by puja wear and encrustation, what might be a conch emblem can be seen lightly engraved onto a small cartouche below Neminatha’s cushion – this is the identifying emblem for Neminatha.